Now is not the time to be in the "Bah, Humbug" state of mind, because in New Orleans we use the money we saved from bargain holiday shopping to enjoy many of the happy hours that are happening all around town. Here are some happy hours that will definitely get you in the holiday spirit. Hermès Bar at Antoines (725 St. Louis St.) – Happy hour here is great! Monday through Friday they offer $4 house brand cocktails, house wines and some champagne selections. If it’s beer you want, you’re in luck. They have $3 imported beer and $2 domestic. Also offered on the regular cocktail menu will be a variety of holiday drink specials. The holiday selections will only be available during the festive season, so don’t miss out if you get a chance to stop in. Maypop (611 O’Keefe Ave.) – Take a break from the weekly hustle and bustle and enjoy happy hour at this downtown location, which is a great place to gather with friends. It runs Monday through Friday from 4 p.m. to 6 p.m. Specials here include $5 wines, $4 beers and $6 specialty cocktails like the Thai Margarita. The team here is currently working on its holiday menu so stay tuned as they are teasing us with a fabulous egg nog special coming soon. We cannot wait. Cavan (3607 Magazine St.) – Stop by and say hello to the holiday bartending elves at the place that is not only famous for its architecture, but the happy hour is festive as well. Here happy hour is everyday from 4 p.m. – 7 p.m. They offer half off house spirits, local beers, house white wine, red wine, rose and sparkling wines. Remember the small High Life Ponies? Well, here they are $1. In addition to that, they are offering $6 Moscow mules, daiquiri’s, daily punch and the Sazerac. Here you can also get Cozy by the fireplace and get pitchers of cocktails for $35. This can be fun and relaxing while taking in the merriment of the season. There is no shortage of fun and celebration this time of year. 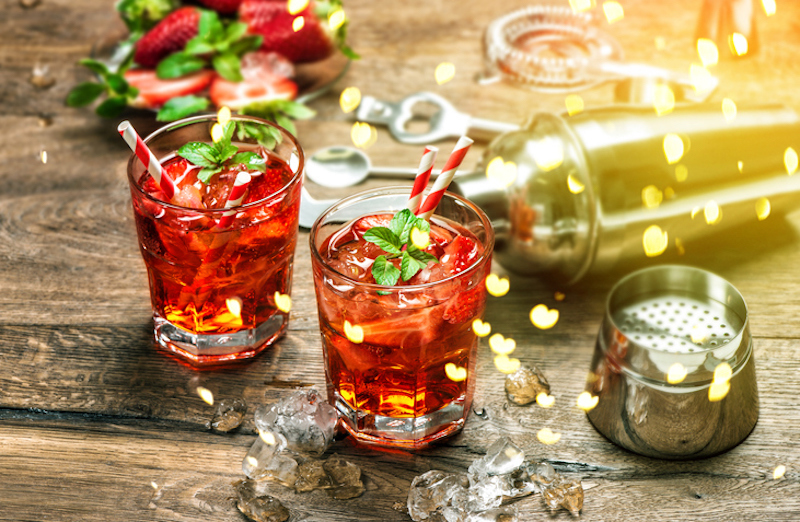 If you know of a great holiday cocktail hour, please let us know so we can check it out and share it with everyone.